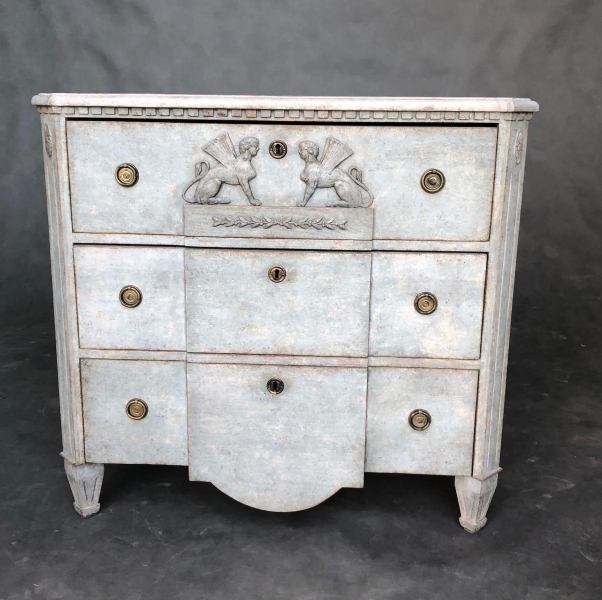 Swedish Empire chest of drawers with break front in gray color. 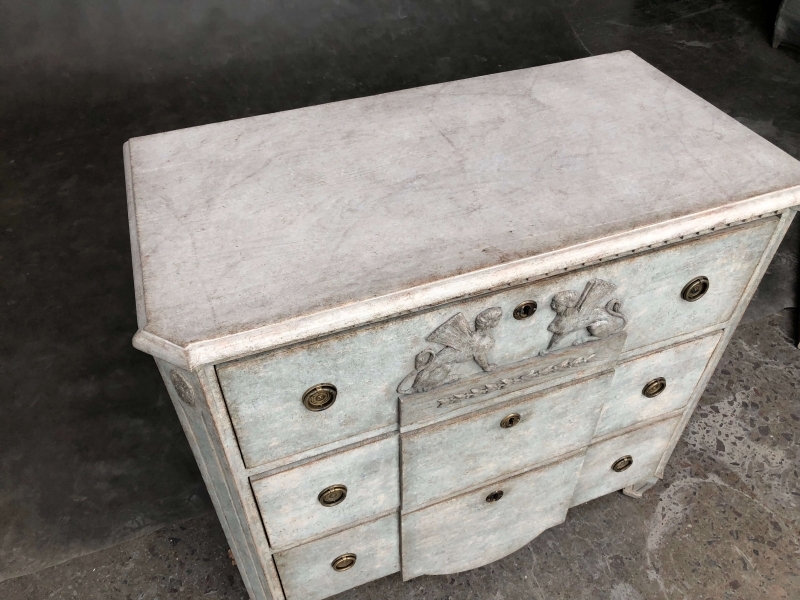 The upper part of the furniture is decorated teeth. The corners are cut and there are vertical cutters and decorations on them. 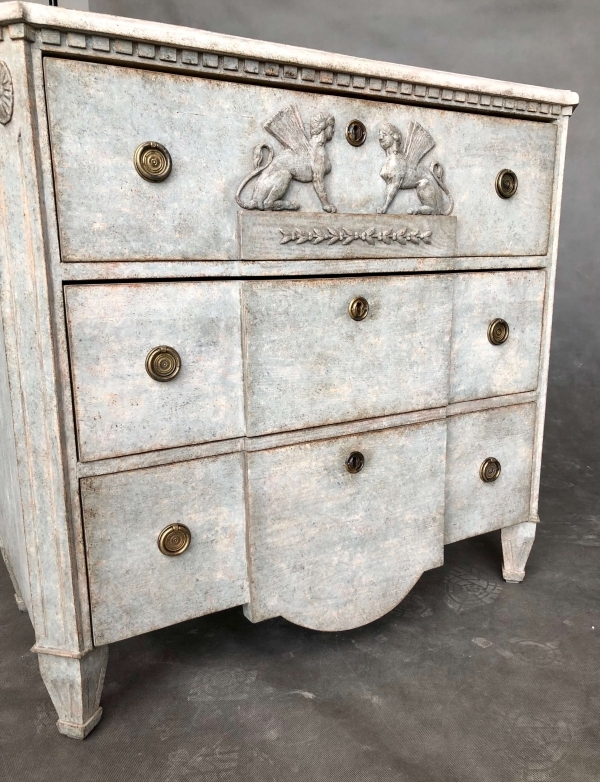 On the top drawer are sphinxes and subtle decoration. Age ca 1850.